Find grant information, film festivals, new media funding, fiscal sponsors and more. 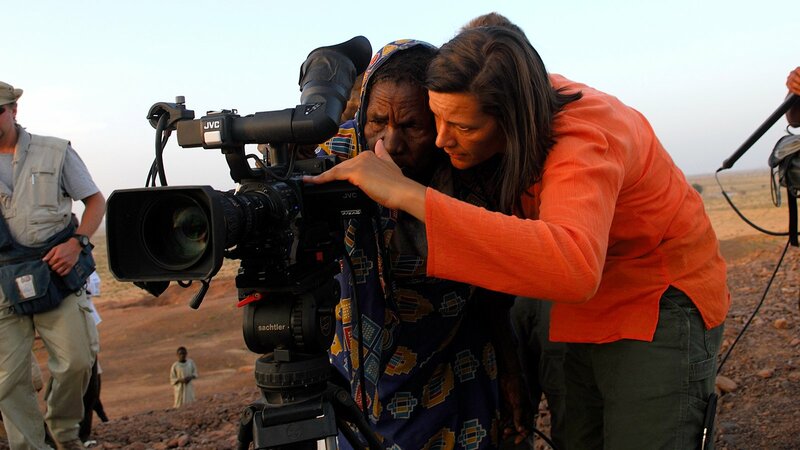 Looking for funding for your documentary? Check out the list below for U.S. and international funders. Note that some funders only give grants to organizations and others only to individual artists. This $10,000 (Canadian dollars) grant is aimed at young video and filmmakers born and living in Africa, Asia or Latin America who want to direct a film in the language of their choice that respects the aims of the Foundation. An amount up to $50,000 may be awarded or distributed in any given year to independent American filmmakers for financing new projects as well as works in progress. AFAC's cinema funding is open to all kinds of fiction film projects – short, medium and feature narratives, animation and experimental films. AFAC offers funding for development/scripting, production and post-production. The AFAC Documentary Program (ADP), launched 2013, is a program that funds and supports creative documentary films in the Arab region. The program welcomes submissions of short, medium-length and feature documentary film projects that are in development, production or post-production phases. Grants primarily provide partial support for major series with lasting educational value that are assured of national airing by PBS. Consideration is given on occasion to single stand-alone programs of exceptional merit. Recent "capstone" produc­tion grants have ranged from $100,000 to $500,000. Looking for funding or other opportunities for your nonfiction new media project? Check out the list below. Note that some funders only give grants to organizations and others only to individual artists. The 360 Incubator and Fund is a funding initiative of the National Black Programming Consortium (NBPC) devised to help launch multi-part, non-fiction broadcast projects, non-fiction and scripted web serial content, as well as interactive or "trans-media" projects, about the Black experience. The California Documentary Project (CDP) is a competitive grant program that supports the research and development and production stages of film, audio, and interactive media projects that enhance our understanding of California and its cultures, peoples, and histories. Projects should use the humanities to provide context, depth, and perspective and be suitable for California and national audiences through public and educational screenings and presentations, broadcast, distribution, and/or online. FWB provides grant funding for narrative, documentary, and experimental new media projects at various stages of production (development, production, post-production, distribution) that align with themes of social justice, women's voices, youth voices, identity, cultural exchange, or climate change. Award amounts are up to $5,000 USD. Note: There are three grant cycles throughout each year (Spring/Summer/Fall). ITVS is looking for exceptional stories on any subject. They provide up to $30,000 in research and development funding to help you take your original digital content idea to the pilot stage for distribution on public media. Digital Open Call is only open to pre-production projects. The National Endowment for the Arts provides several funding opportunities for organizations working in media arts. The Media Projects program supports film, television, and radio projects that engage general audiences with humanities ideas in creative and appealing ways. All projects must be grounded in humanities scholarship in disciplines such as history, art history, film studies, literature, drama, religious studies, philosophy, or anthropology. Projects must also demonstrate an approach that is thoughtful, balanced, and analytical (rather than celebratory). The approach to the subject matter must go beyond the mere presentation of factual information to explore its larger significance and stimulate critical thinking. Electronic Media and Film (EMF) advances artistic exploration and public engagement in the media arts. EMF is dedicated to experimental and creative expression in all genres of time-based and moving image media, including emergent technology. Support is provided for projects that employ electronic media, film and technology as an art form, including historical and rarely seen works that enable media arts appreciation. Vision Maker Media invites proposals for programs intended for Public Television that represent the experiences, values and cultures of American Indians and Alaska Natives. It provide funding for filmmakers to research, produce and complete innovative "short form" (no more than 20-minute) projects for primary distribution over the Internet and/or another Public Media platform, and include vignettes, webisodes and other new media content. Looking for opportunities from public media? The chart below includes major opportunities for feature documentaries and shorts. With support from the Corporation for Public Broadcasting, CAAM provides production funding to independent producers who make engaging Asian American works for public television. Documentaries are eligible for production or post-production funding and must be intended for public television broadcast. Awards typically range between $15,000 and $50,000. Diversity Development Fund gives producers of color up to $15,000 in research and development funding so you can develop your documentary for air on public television. Pre-production nonfiction projects only. Open Call provides documentary funding and co-production support so you can complete your nonfiction work in progress, then air it on public television. The Public Media Content Fund (PMCF) is an open invitation to independent producers to submit proposals for documentaries, limited series or short digital video programs for online distribution (no longer than 20 minutes) that meet LPB's Content Priorities and are appropriate for public television and/or one of its platforms. PIC uses these following criteria and more when considering projects for funding: Compelling storytelling; Accurate and authentic representation of the Pacific Islander experience; Programs that shed light on the Pacific Islander experience. The Digital Shorts Fund is PIC's new and exciting initiative, which provides funding of up to $25,000 for the completion of fiction and non-fiction short content of untold stories and fresh perspectives on the Pacific Islander experience. Projects that are completed will be distributed on public media digital platforms with an option for public television broadcast. THIRTEEN accepts proposals for limited series, single stand-alone programs that can be broadcast as specials, single programs that fit existing strands, and short program segments that can fit existing programs. When submitting a proposal to THIRTEEN you will need to indicate to which content area or program you are submitting. THIRTEEN's programming includes Performance and Arts, News and Current Affairs, Science & Nature, Documentaries, and Children’s and Educational Media. Existing national programs include American Masters, Great Performances, Nature, Secrets of the Dead, Religion & Ethics Newsweekly, and PBS NewsHour Weekend. Fiscal sponsors are intermediates that allow documentary filmmakers to receive funding that would not usually go to individuals. The organizations below have indicated that they allow fiscal sponsorship for documentaries. Some will charge fees for this service, but they might also provide other services to help manage the documentary fundraising process. Brooklyn Arts Council offers fiscal sponsorship to artists and arts organizations that are based in Brooklyn or primarily serve Brooklyn residents. The program provides individual attention and advice, feedback on grant proposals, online giving tools, low fees and fast turn-around. CID has been collaborating with independent producers in the creation of independent documentaries for more than 25 years. CID can act as fiscal sponsor, manage project funds, provide creative and technical support, and can offer advice on fundraising and distribution. Our fiscal sponsorship program is one of the many ways that we support creative activists, people who use the power of media and the arts to inspire positive social change. Docs In Progress offers financial oversight by monitoring reports and managing funds to ensure that funder requirements are adhered to by filmmakers. We also organize an annual meet-up of sponsorees to share strategies for fundraising. Documentary Educational Resources welcomes applications for fiscal sponsorship of film and media productions, particularly in projects that support the mission to foster cross-cultural understanding, but will consider a wide range of social issue documentaries. Film Forum, Inc. provides fiscal sponsorship to filmmakers in support of their projects. Film Forum accepts project that are feature length films by experienced filmmakers. To be as inclusive as possible, there is no set criteria for the style or types of films that will be accepted. Film Independent's Fiscal Sponsorship program opens the door to nonprofit funding for independent filmmakers and media artists, supporting projects at every stage in the process – from development to distribution and beyond. FC offers low cost fiscal sponsorship to independent filmmakers around the world. For 30 years we have have provided sponsorship and support to hundreds of filmmakers managing more than $50 million in grants and donations. As the country's largest arts fiscal sponsor, Fractured Atlas provide accessibility, efficiency and affordability. Fractured Atlas work with thousands of artists and arts organizations to provide education and support for raising funds. IAM offers fiscal sponsorship to projects and producers that raise the educational and social levels of the residents of the San Francisco Bay Area and surrounding regional and national communities, through the development of non-commercial, educational and cultural media, news and arts projects for the benefit of the general public. IFP Fiscal Sponsorship is exclusively for creative, artistic and/or educational film, video and transmedia projects, giving filmmakers the benefit of our focused experience and reputation in the field. IFP Chicago's Fiscal Sponsorship program was created to assist members applying for these funding opportunities. Additionally, this arrangement enables individuals to take contributions to sponsored projects as charitable contribution deductions on Federal tax returns. For almost 30 years IDA's fiscal sponsorship program has been helping independent documentary projects of all types get funded, finished and seen. Our fiscal sponsorship program is open to independent filmmakers and documentarians, regardless of education, background or previous credits. NYFA Fiscal Sponsorship is one of the oldest and most reputable programs of its kind in the country. It gives individual artists and artist-run organizations increased access to greater funding and enhances their fundraising capabilities. The Southern Documentary Fund offers fiscal sponsorship for documentary projects made in or about the American South. As a fiscal sponsor, The Film Collaborative serves as a conduit for financial resources, and provides some support and oversight for independently produced film projects. In accordance with its mission, TWN serves as a fiscal sponsor of independent film and electronic media productions, as well as artistic, educational and cultural projects emphasizing social justice issues and the concerns and interests of people, groups, and nations often marginalized in mainstream media. Women Make Movies Fiscal Sponsorship is designed for women filmmakers who are actively fundraising for their film or video project and need 501(c)(3) non-profit tax-exempt status.